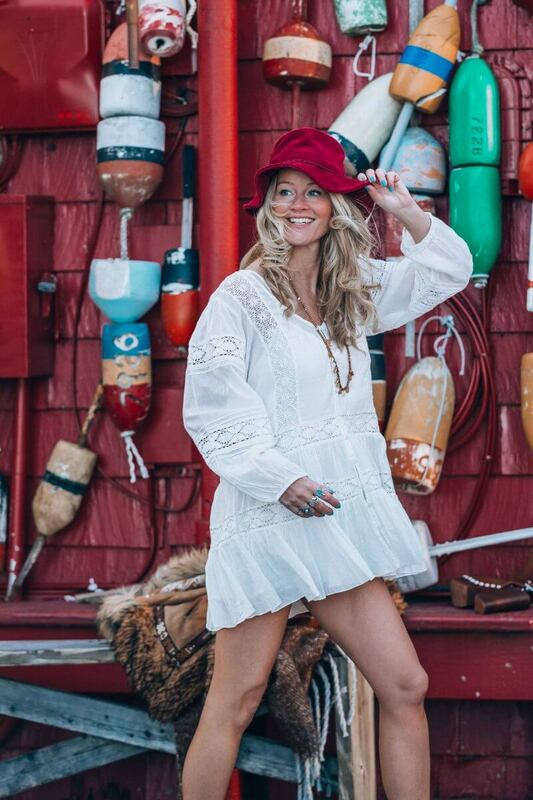 What about this cute litte white dress by FreePeople? There is something about those early sunny days that make you forget you just stepped out of winter. This warmer weather really inspires me to get creative again, and spice up some new summer looks for you! 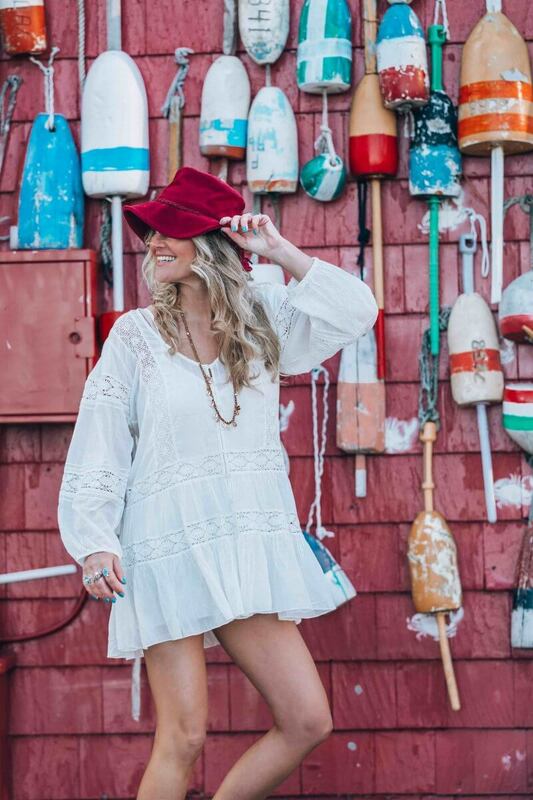 This super cute white One Glow Dress by the latest collection of FreePeople is just begging for the sun. 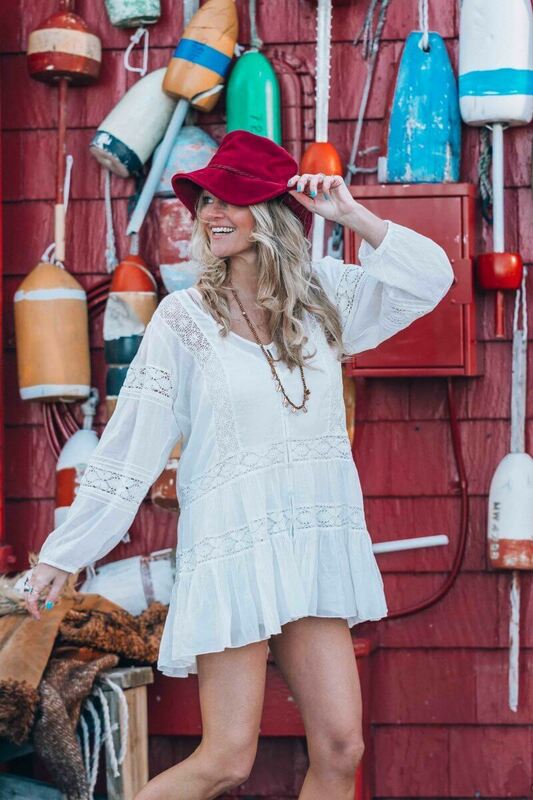 With its crochet details and super soft fabric, it's just perfect for walking a day around town or a day at your favorite festival. You really can't go wrong with this one. 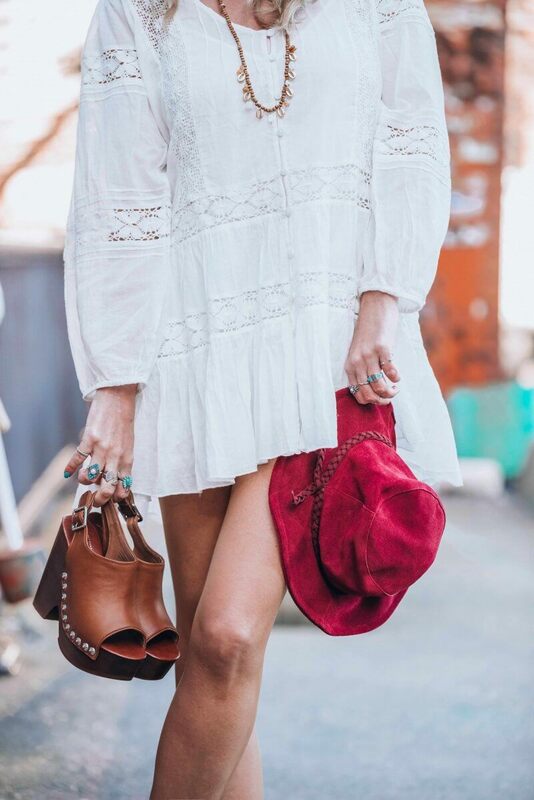 For this look, I've combined this light and airy dress with some cute must have clogs. Not only am I crazy about clogs because they make your legs look so tall, but mostly because they give your look that real 70-s vibe. 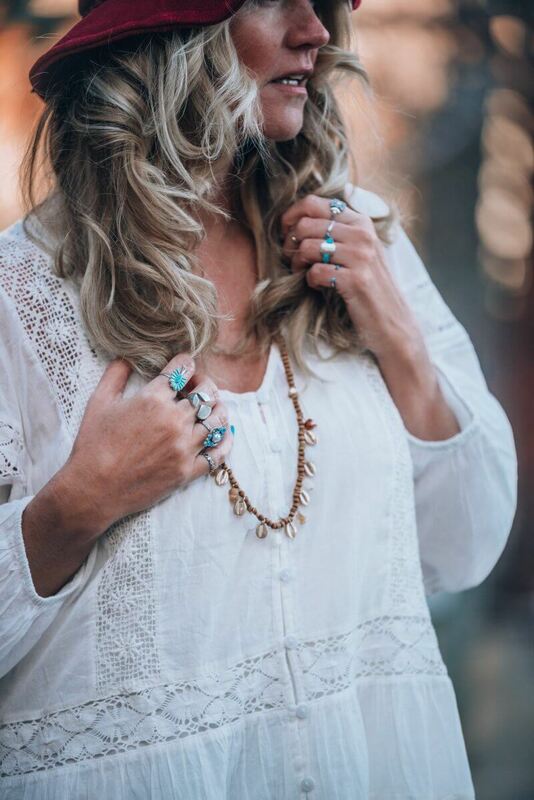 A turquoise ring set to match my nail color and an extra drop of summer with a Comino shell necklace. 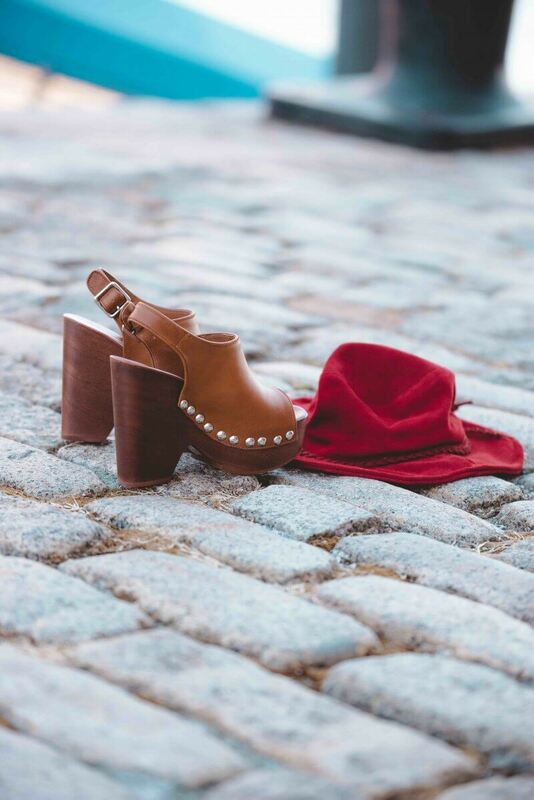 As finishing touch a suede floppy bucket hat in deep red. If you are not ready to show off your legs yet just pair the look with some skinny or flared jeans. 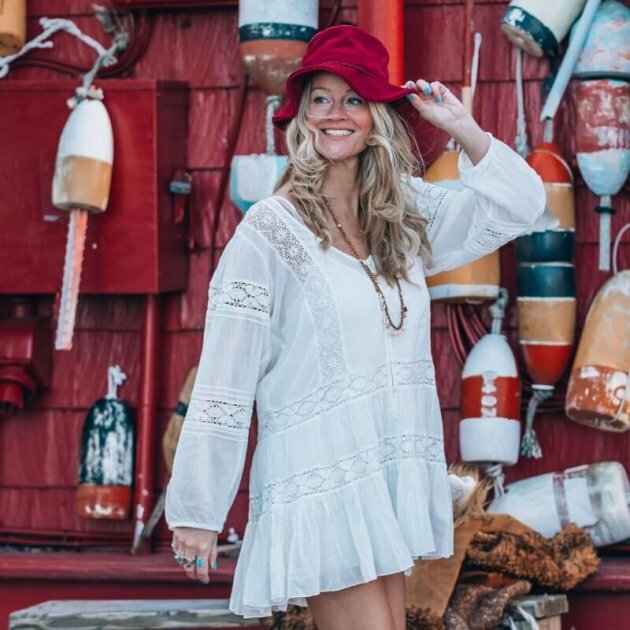 For more FreePeople summer inspiration click here or follow them on Instagram. If you happen to be in Amsterdam this summer don't forget to pay a visit to their brand new shop! Each time I pass by the store I just have to drop in and check out the latest collection. You can find it at Keizersgracht 359 in one of the most trendy neighborhoods of Amsterdam!